Filled with 90,000 square feet of interactive exhibits bursting with action-packed fun, the Children’s Museum of Houston is a Playground for Your Mind™. 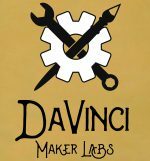 DaVinci Maker Labs is a non-profit makerspace. Our mission is to provide a physical location where people of all ages can participate in developing innovative and creative projects. We strive to help our members and community expand their knowledge and skills using tools and methods that otherwise would not be available to them. Through classes, events, and day-to-day operations, we provide a dynamic environment that cultivates learning, imagination, creation, and collaboration. MaKr U makerspace is committed to bringing opportunity to areas under served with this type of space. It is our desire to provide a mobile workshop for the tinkerer and the perfect educational space for individuals who learn best by doing. We provide a framework to support lifelong learners that are unfamiliar with exactly how to tinker and explore areas which may initially present failures in the learning process. Never quit! MaKr U, LLC has been working to create an inviting maker space since we opened in 2015. Community driven space with large woodworking area, CNC machine, laser cutter, and several 3D printers, with a large open space for holding classes. A makerspace near The Woodlands, Tx. Professional tooling, but kid friendly. TXRX Labs is a nonprofit innovation, education, and collaboration hub serving the creative community of Houston, Texas. Classes are offered in a variety of topics including woodworking, welding, machining, programming, electronics, textile arts, jewelry, ceramics, and STEAM education for young makers. The 50,000 square foot facility provides an open environment where tools, knowledge, and skills are shared for hobbyists, inventors, artists, entrepreneurs, students, and anyone curious about becoming a maker.